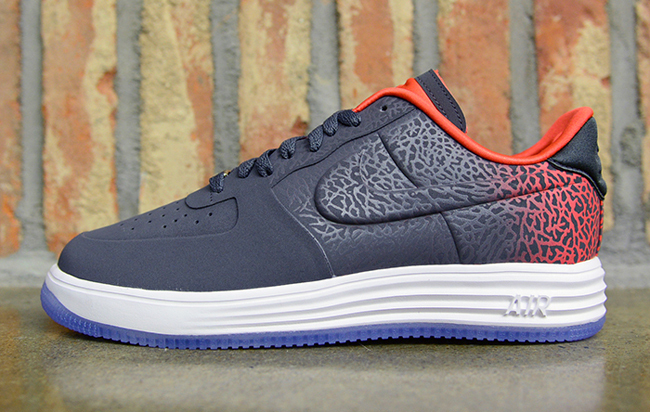 Yet another solid colorway of the Lunar Force 1 Low will be available soon just in time for the warmer upcoming weather we are already starting to see out there. This dope grey and red AF1 features the beloved Lunar midsole with an icey clear bottom sole to make things pop just a little more. Match that with the classic elephant print in a nice fade effect and you have a sure winner here. Make sure to stay tuned for more information in regards to official release date.